Getting to and from St Edward’s Senior and Preparatory Schools couldn’t be easier. Whether you’re in Cheltenham or the surrounding areas, we have a range of bus routes to ensure that your child can get to School on time. In partnership with other Independent Schools in Cheltenham, we use a School Bus service provided by the Eagle Line bus company. There are currently six routes available from Broadway, Moreton-in-Marsh, Burford, Ashton Keynes, Gloucester and Nailsworth. Routes 2-6 offer a return service with Route 1 being a morning only provision. 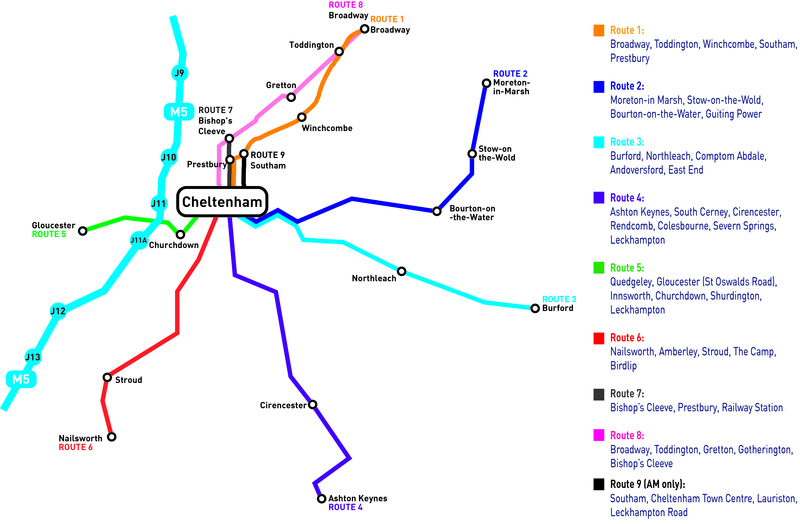 In addition to this, St Edward’s runs three further services to enable access from Broadway, Toddington, Bishops Cleeve, Gretton, Greet, as well as stopping at various places around Cheltenham town centre. PLEASE NOTE SPACES ARE LIMITED AND CURRENTLY ROUTES 7 AND 8 ARE OVERSUBSCRIBED. Please contact the Bursary and we will do our best to assist. Routes 7 and 8 are return services with Route 9 being a morning only route. For more details about our routes please see below. For St Edward’s timetables and prices, please download the pdf document. 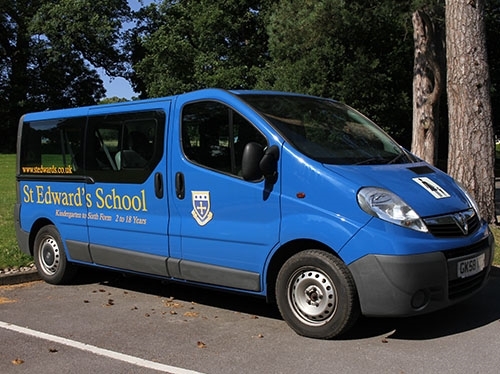 Should you require further information about transport to and from St Edward’s please contact the Bursary on 01242 388567 or email bursary@stedwards.co.uk. St Edward’s also runs it’s own minibus service covering Routes 7 & 8. Route 9 operates for pupils in the Hatherley and Leckhampton areas. This route operates in the morning only.